In this podcast, Ricardo continues to talk about Highly Effective Teams, subject of his new book. He comments on the trust between members, effective decision-making, conflict management and how to recognize the work and create opportunities for the team and for each member. 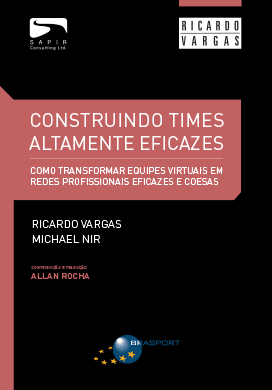 In this podcast, Ricardo gives tips on how to transform a group of people in a highly effective team, a subject he addresses in his new book, in partnership with the author Michael Nir. Stay tuned for continuation of this podcast next week. Trailer do livro homônimo, que mostra como transformar um grupo de pessoas em um time de alto desempenho. Em um time de alto desempenho há um grande nível de colaboração e inovação que ajuda a produzir resultados superiores de forma consistente. Aprenda como transformar um grupo de pessoas em um time de alto desempenho. Em um time de alto desempenho há um grande nível de colaboração e inovação que ajuda a produzir resultados superiores de forma consistente. 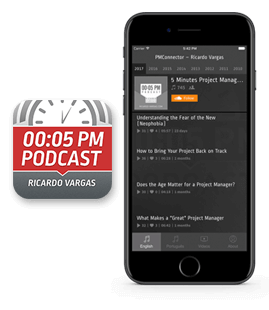 In this podcast, Ricardo talks about how to make a better project team sizing according to three factors: the complexity and geographic dispersion of the work to be done and the team's maturity.